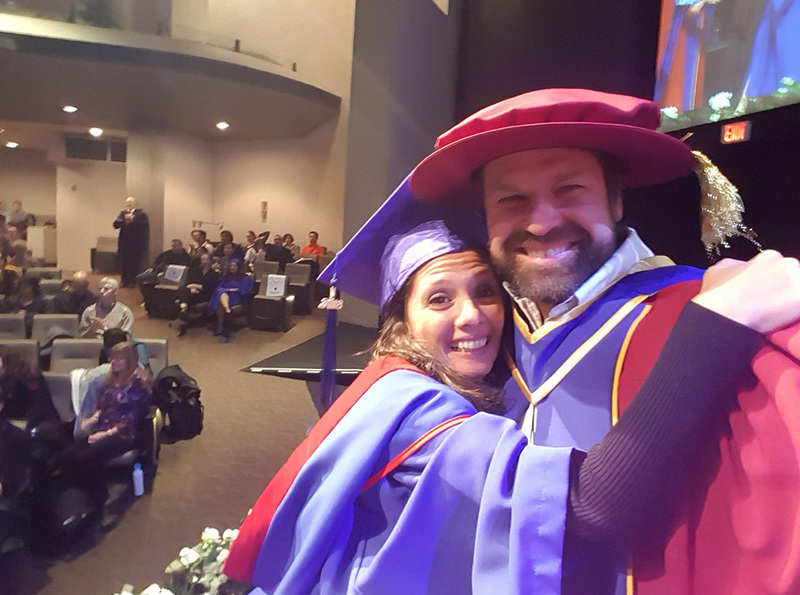 If you saw Irina Saczuk at her convocation, you probably witnessed the big hug and kiss husband Eric gave her as she crossed the stage. It was June 2017, and Irina had just graduated from the Bachelor of Science in Nursing program, officially becoming a BCIT alumna. Eric, a member of the platform party, could not contain his pride. “I’ll never forget it—I was super proud,” says husband Eric Saczuk, a BCIT Geomatics instructor, the chair of the School of Construction and the Environment Research Committee and a drone pilot. Irina, now working as an advanced practice Registered Nurse for Dr. Peter AIDS Foundation, has no bigger fan than Eric. Irina reciprocates the admiration. On their first date, she says he impressed her with his eloquence. On the day of their engagement, he inspired her with a heartfelt, surprise proposal. In the early years of their relationship, BCIT was a big part of both their lives. While Eric was a faculty member for the School of Construction and the Environment, Irina was a student of the Nursing program in the School of Health Sciences. As an instructor, he was dedicated (“I love teaching!”) to teaching his students. As a student, she had to juggle a heavy workload, affectionately likening BCIT to a “boot camp.” And they were also raising two young girls together. The busyness of teaching and learning at BCIT and parenthood helped them discover how to balance their relationship. “I complain, he listens, and we both decide I am right,” Irina lightheartedly answers. Do you have a BCIT love story you’d like to share? Contact us at alumni@bcit.ca.